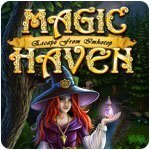 Magic Haven: Escape From Imhotep Game - Download and Play Free Version! Outwit Imhotep and free the magic creatures! 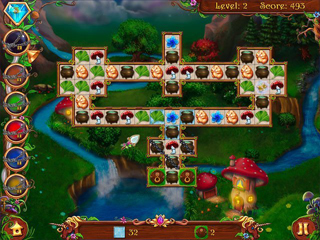 In this gorgeous adventure, you solve match-3 puzzles to free the magic creatures from the evil wizard Imhotep and to build them a safe haven in a beautiful far-away land. Make your way through over 100 feature-rich levels where you will be called to mix potions, pick locks, make magic orbs and much more - in order to outwit Imhotep's minions, and foil his curses.